She hasn’t moved more than an inch or two in all these days, unless she goes off dancing midweek and then comes back on weekends to pretend that she hasn’t gone anywhere. The first time we met her, we I was not expecting a friend. In fact, I considered, uh, getting rid of her somehow. But the more I thought about it, the more I liked the idea of knowing where she was — right there on the porch by the steps in plain sight. 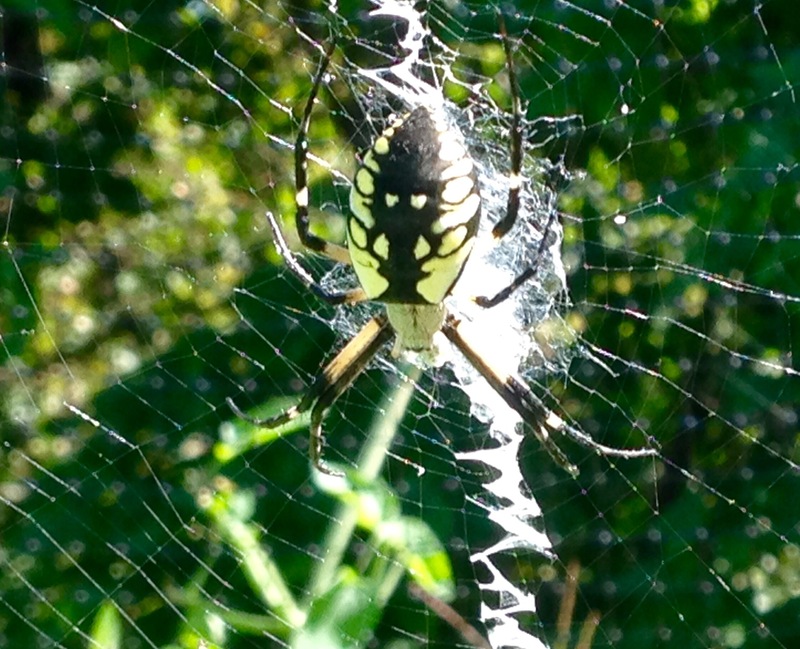 She is an ordinary black and yellow garden spider (argiope aurantia), but neither of us think she is ordinary at all. Michael started throwing her bugs last weekend. 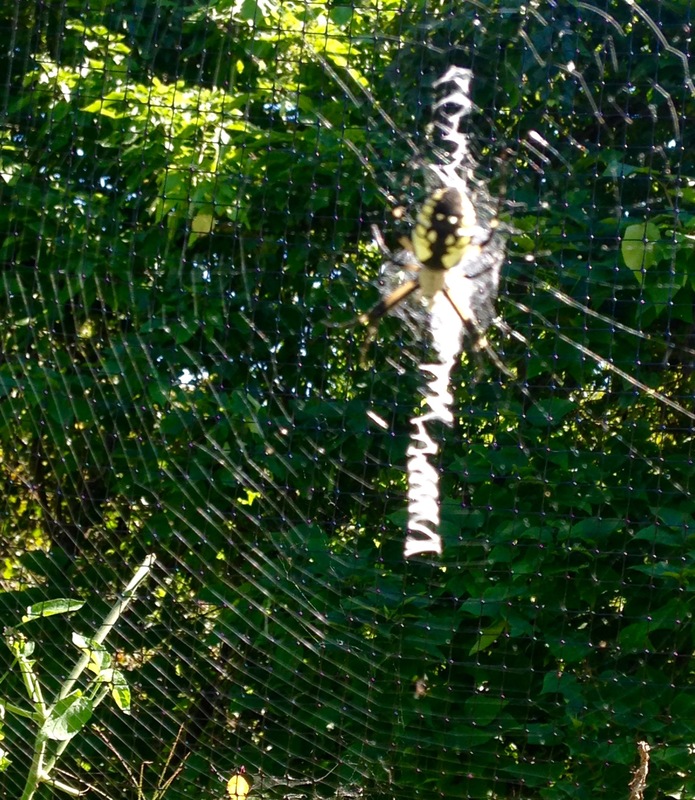 She doesn’t act grateful, but how do I know what grateful is for a spider? I do wonder if she wonders why she gets all these good treats on the weekend. 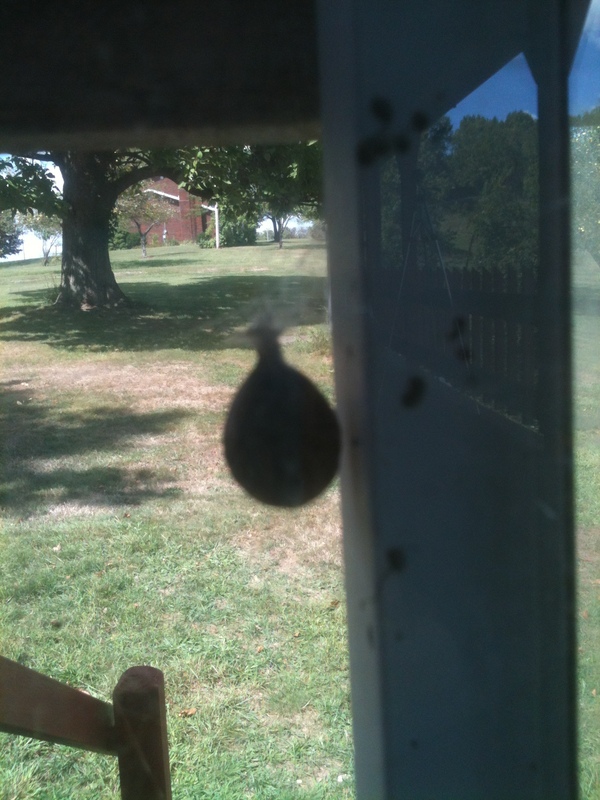 She won’t bother with stink bugs though; apparently no one likes stink bugs. This weekend, overnight, a little something appeared in the top corner of her domain. At first look, we thought it was just a big, rolled up treat, saved for winter. 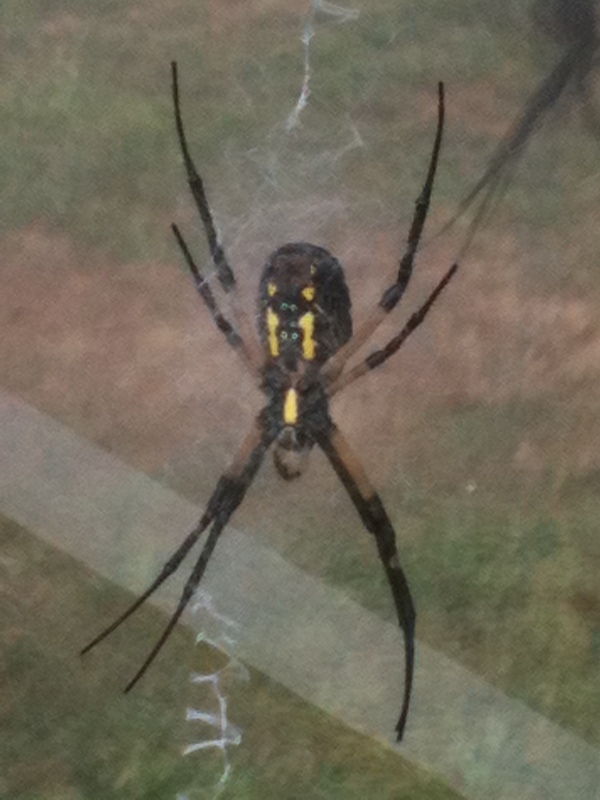 I’ve looked it up, and I know that once Charlotte has laid her egg sac, she will die. 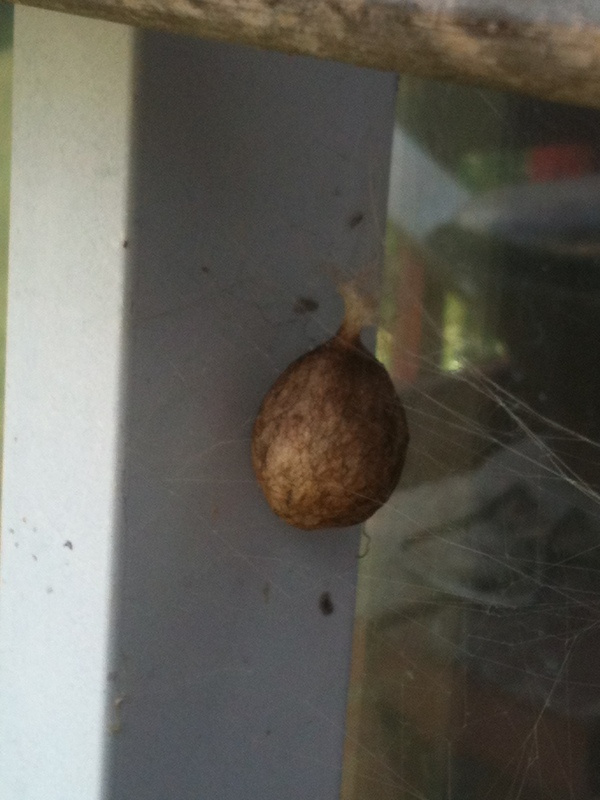 But her children will hatch and stay in the egg sac until spring. At first I thought that maybe we could move them to a nicer spot for the winter? (Away from the house!) But baby spiders fly away on little balloon strings — the real Charlotte called her relatives aeronauts — so perhaps that isn’t necessary and they will fly away on their own? I would add that these truths are not just descriptive of fairy tales, but any story, written or told, lived or loved, true or not. E.B. White knew it. 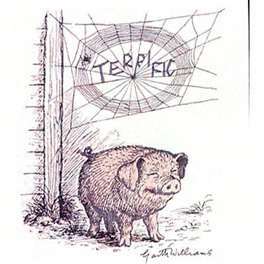 The words Charlotte wove in her web to describe her friend Wilbur were: Some Pig; Terrific; Radiant; and Humble — all words of love between friends. All words that describe magic, meaning, beauty, and gratefulness. And when Charlotte wrote those words about Wilbur, he became what she wrote about him. I’ve rambled a long way from Charlotte appearing on the corner of our porch — a seemingly insignificant trifle (and one that truthfully didn’t thrill me at first) — but this much has been made clear once again: As busy adults we forget the magic, the miracles, the beauty that are all around us. In the middle of the book, the wise Dr. Dorian tells Fern’s worried mother, “Children pay better attention than grownups.” That is also his quote at the beginning of this post — Fern’s mother asks him if he really believes that animals talk — and he replies that they very well could have spoken to him, he just wasn’t listening. So listen. Be childlike. Turn off whatever needs turning off and hear the quiet. Be thankful for the ordinary. Cherish the mundane. Be grateful for the spectacular. Don’t miss a miracle because you weren’t paying attention. Thank you for seeing a miracle, stopping to look at it, and for sharing it with us!! God’s creation is miraculous!! It is; and sometimes we (I) rush through life not paying attention…That is one truth this cottage has taught me — slow down and enjoy. 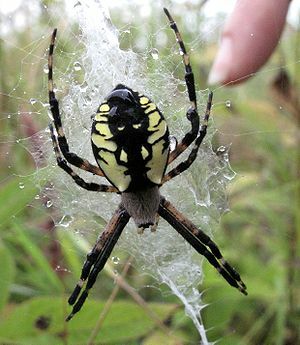 You made a spider seem like a beautiful creature to me! Well done…good lesson! What a wonderful story; I love the last paragraph.